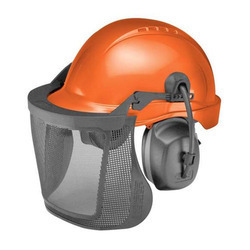 Our range of products include road safety shoes, personal safety harness, safety helmets, safety nets, halogen lamp and labour helmets. Featuring fine road grip, attractive designs and comfortable to wear option, these Road Safety Shoes are superior quality shoe options which make these highly demanded by the customers. 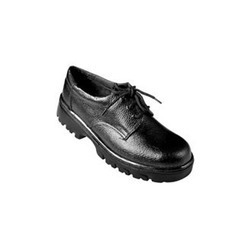 Available in different size options to choose from, these safety shoes can be offered by us in different color choices and breathable leather with durable PU sole. 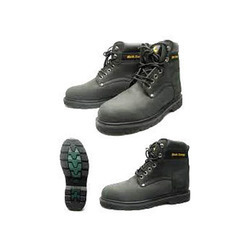 Some of the advantages of these shoes include protecting wearers from possible injuries, available in different design choices, coming extensively tested by quality controllers, use of double density PU sole, also option of using Buff Leather with safety steel toe cap provision. We offer comfortable to use and safe Personal Safety Harness that helps in arresting the fall of a person/workers at construction/maintenance sites and other similar places. 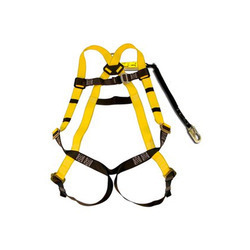 With designs and construction standards of this harness as per the defined industry specifications, these offer comfortable usage support to workers while performing different tasks. As full-body harness, it also reduces possible chances of injury. Some of the advantages of product include fully adjustable design, presence of sub-pelvic strap belt and leg strap and back strap support for increased safety, lightweight construction finish, use of advanced padding technology that provides for optimal air flow during usage, providing for all-day long comfort and others. We offer customers durable and high load strength bearing Safety Nets that provide adequate protection to people from fall injuries. Helping in limiting the distance of fall, these nets support the needs of arresting falling especially in areas where workers in construction sites are exposed to vertical drops. Further, these safety nets provide for long functional life, are weather resistant as well as easy to use. The finish specifications of these nets include size of 10m x 5m, 10m x 5m, 6m x 4m, mesh rope diameter of 2 mm (Double Cord), 4 mm, 6mm; mesh size of 25 mm, 75 mm, 100 mm and others. 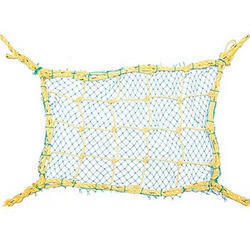 We also ensure these nets are constructed using high grade polypropylene that helps in eliminating stresses as well as provides superior load safety and balance. ACE Halogen Lamp - held Search light is a powerful halogen lamp which provides tremendous visibility at more than 750 meter distance in dark. Search light is powered by rechargeable 12 V battery. 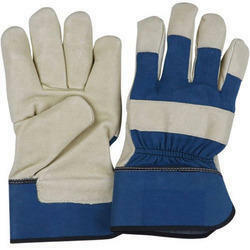 Easy handling with adjustable nylon shoulder strip and in built handle. Body of rigid plastic make it highly durable and weather resistant. 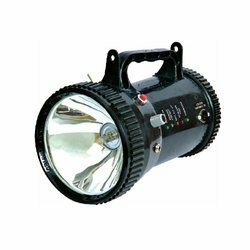 Search light is widely used by the police and security people, emergency services, Fire-Brigade. Construction companies etc.